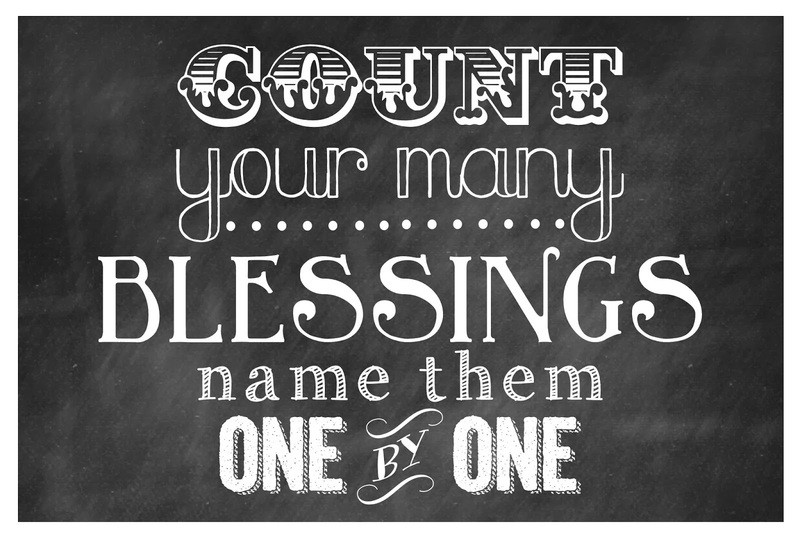 Today, I feel like I need to count my blessings. My life is far from perfect. That’s for sure. But like I said yesterday, if you focus on the negative, that’s all you will see or feel. 1. I love a God who loves me more than any human being ever could (even my parents). He provides for me and gets me through life. 2. I have people in my life who do things for me that just blows me away. These are things that I did not ask for, and was surprised to receive. Just being thought of and having someone be thoughtful towards me amazes me. 3. My children are healthy. They do not have any major health issues. 4. We have a roof our heads, warm beds, lights and water. 5. I have a car that gets us where we need to go. 6. My friends are awesome and always here for me. 7. Knowing that God has a plan for my life comforts me. Especially when I can’t see where I’m going. 8. My church family rocks! I know they are here if I need them. 9. God blessed me with the ability to draw. I do not think I’m the best by any means, but it is something I enjoy and I like making things for people. 10. Blessing other people blesses me. I am not able to do much right now, but one day, when I don’t have to worry so much about some things, I plan on being a huge blessing to many. I love helping other people.